Judith Kay Perry, 78, of Libby went to be with her Savior on March 18, 2018. She was born January 15, 1940 in Cut Bank to Adolph and Daisy Lee Hoff. She graduated High School in 1958; she went on to attend Columbus Nursing School in Great Falls for two years. She married Donald E. Perry on January 16, 1960 in Cut Bank where they raised four children. There she opened the Sew 'N Sew Fabric Store with long time friend Audrey Burton. In 1979, the family moved to Libby where she was employed at Jay Lee's Fabrics, later as a book keeper for Jenkins Motors. In 1985 she began work at the Lincoln County Court House in the DMV, and later moved to a position in the Treasurer's Office, retiring after 17 years in 2002. Judy and Don ventured on frequent Caribbean vacations as well as trips to Mexico, Arizona and Hawaii. 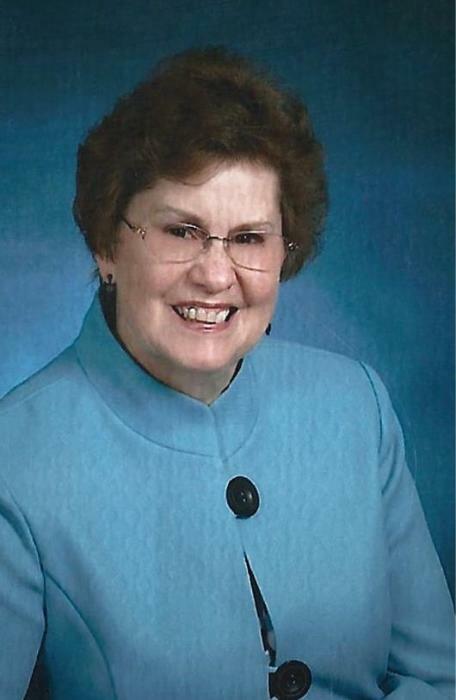 She was an avid gardener, animal lover, quilter, and enjoyed sewing for family and friends. She also enjoyed 30 years of Square and Round Dancing with her husband Don. Judy was one of the founding members of the Libby Chapter of P.E.O. and also enjoyed volunteer work with the local Hospital Auxiliary and the Libby Christian Church. She was preceded in death by her parents and sister, Karen Ballard. Judy is survived by her husband Don, daughter Crystal Ferguson (Jon), and sons: Keven, Curtis, and Kent (Todd), three grand-children: Cole Paulsen, Caitlyn Perry and Jon Ferguson Jr. Her extended family Lori Flescher, Kim Dykman, Zenda Winterburn, Griffith Ballard, Judy Smith (Chris); Cathy Lauenstein (Gunnar) and Peggy Erickson (Reid). A Memorial Service celebrating Judy's life will be held at the Libby Christian Church on Saturday, April 7th 2018 at 11:00 AM, with a fellowship to follow. Arrangements are by Schnackenberg & Nelson Funeral Home in Libby. Online condolences and memories mat be shared at www.schnackenbergfh.com. In lieu of flowers, donations may be sent to the following address to be applied for college scholarships.